Make yourself at home in one of the 85 guestrooms. Complimentary wireless Internet access keeps you connected, and satellite programming is available for your entertainment. Private bathrooms with bathtubs feature complimentary toiletries and hair dryers. Conveniences include desks and complimentary newspapers, and housekeeping is provided daily. 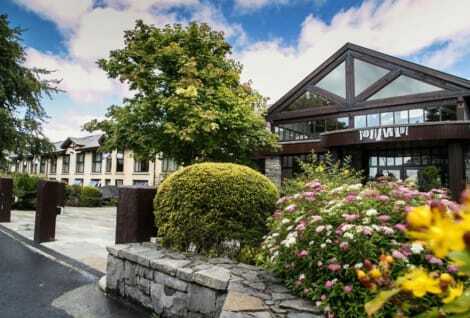 A stay at Westport Woods Hotel & Spa places you in the heart of Westport, steps from Clew Bay and 13 minutes by foot from Clew Bay Archaeological Trailhead. 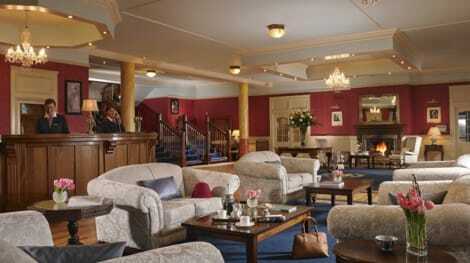 This 4-star hotel is 2.8 mi (4.5 km) from Westport House and 3.1 mi (5 km) from Westport Golf Club. 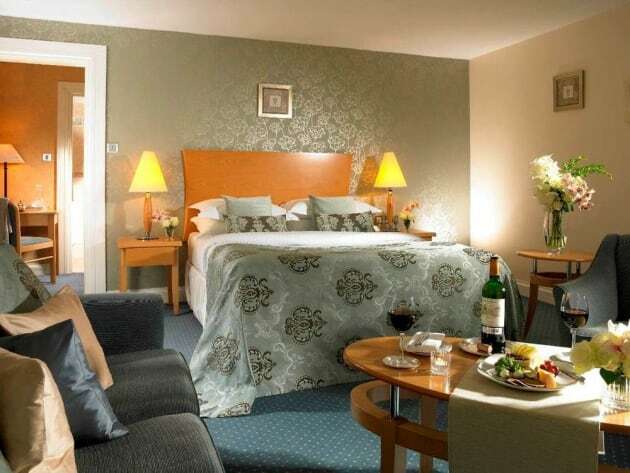 This elegant hotel is situated in the centre of Westport, in the middle of private parkland. A selection of restaurants, shops, bars and pubs are all to be found within 500 m of the hotel. The nearest nightclub as well as public transport are located within 1 km of the hotel, easily within walking distance. The coast (with beaches) is only around 6 km away. It is just 50 km to Knock airport, taking around 40 minutes by car. The hotel includes a 3-storey main building with total of 129 rooms, of which 123 are double rooms and 6 are suites. The hotel also offers access to sprawling gardens of around 28,300 m². Guests are offered a 24-hour reception in the lobby, along with a currency exchange desk, a cloakroom, a café and a lift. Furthermore, the hotel offers its guests use of a bar and 2 à la carte restaurants with highchairs for children. In addition, the hotel has a conference room and a public Internet terminal. Those arriving by car may make use of the hotel car park. The room and laundry services as well as the Panda Club (for 4-12 year olds), the Cubs Corner (for 0-3 year olds) and playground complete the amenities on offer. The welcoming and modern en suite rooms are fitted with a hairdryer, a direct dial telephone, satellite/ cable TV, a radio, Internet access, carpeting and central heating. The rooms are also equipped with an iron and an ironing board as well as a tea and coffee maker. The hotel offers its own indoor swimming pool, a pool, a sauna, a solarium, a steam room, professional massages and further health treatments in the leisure centre. Furthermore, a gym is available for fitness enthusiasts. The hotel also offers a seasonal entertainment programme. For children there are daily entertainment options in the Panda Club. There is also a golf course approximately 1 km from the hotel. Enjoy a meal at the restaurant, or stay in and take advantage of the hotel's 24-hour room service. Quench your thirst with your favorite drink at the bar/lounge. A complimentary full breakfast is served daily from 8:00 AM to 10:30 AM. Stay in one of 157 guestrooms featuring flat-screen televisions. Complimentary wireless Internet access keeps you connected, and digital programming is available for your entertainment. Private bathrooms with shower/tub combinations feature jetted bathtubs and complimentary toiletries. Conveniences include phones, as well as safes and complimentary newspapers. Make yourself at home in one of the 97 guestrooms. Complimentary wireless Internet access keeps you connected, and cable programming is available for your entertainment. Bathrooms have bathtubs or showers and hair dryers. Conveniences include phones, as well as safes and coffee/tea makers.